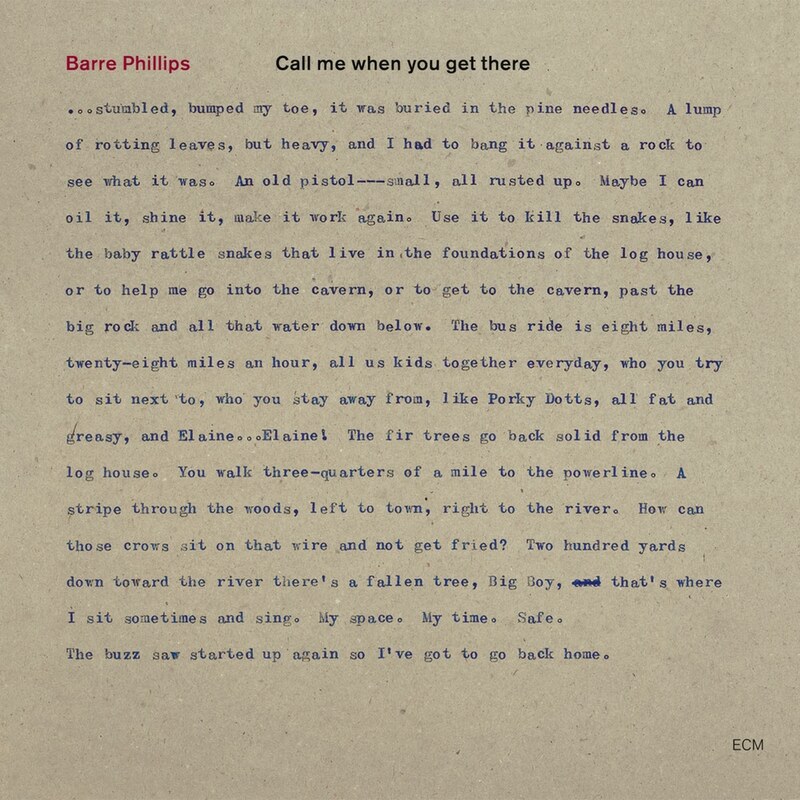 Glowing with a pale fire that can be drawn only in cosmic pigments, Barre Phillips' solo-bass sound-world on Call me when you get there throbs as if Michael Galasso and David Darling had fused into a collaborative quasar. We can add this album to the modest yet potent shelf of solo bass recordings begun with Dave Holland’s as-yet-unsurpassed Emerald Tears. A masterpiece in the Phillips discography and one well worth the plunge for those who’ve yet to dare.